South Carolina’s aging fleet of school buses will soon experience a youth movement of sorts, thanks to a decision by the state’s General Assembly. State senators unanimously voted Tuesday to override vetoes by Gov. Henry McMaster, freeing up $20.5 million in surplus lottery funds to buy new school buses. According to a prepared statement by S.C. Superintendent of Education Molly Spearman, the funds will be enough to replace as many as 210 vehicles. t is currently unknown how many buses will be directed toward Horry County Schools. According to HCS spokesperson Lisa Bourcier, the state Department of Education will determine how many new buses each district will receive. 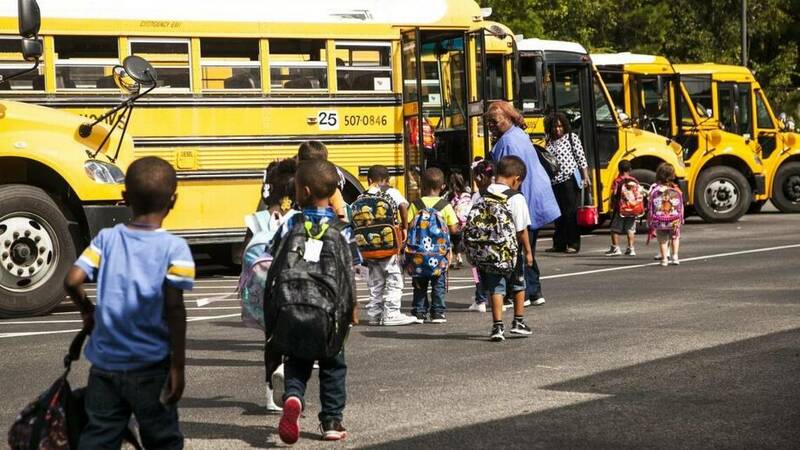 “The state Department of Education will make the decision on how many buses and what criteria is used to replace buses,” she added. Of late, the issue of bus safety has gathered steam at the state level. According to Horry County Schools transportation director Jim Wright, the decision to override Gov. McMaster’s veto should certainly help cut down on such incidents. “For years, the state has been working on replacing buses, some of them we were counting on before (Gov. McMaster) vetoed funding,” he said. “Some of these state vehicles are getting up there in age. We have strong mechanics, so we make sure (buses) are safe before they leave to go on routes. A 2007 state law mandates buses older than 15 years on the road should be replaced. Approximately 2,000 buses statewide are beyond that threshold, according to the state Department of Education. Nearly 40 percent of all school buses in Horry County are aged 15 years or older. Under most circumstances, the vehicles don’t have air conditioning and some of the safety features that are provided on newer buses. However, the fleet recently added some younger vehicles, receiving the last of 38 replacement buses as part of funds allocated by the state over the past several years. A total of 95 state-owned buses in operation locally are under 10-years old, Wright said. Horry Schools also has 51 buses of its own, none of which are older than 10-years-old.